I've been hunting this week. 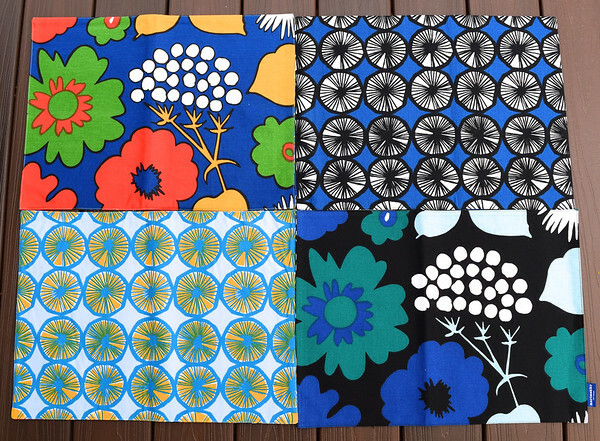 You guys know Marimekko, right? The Finnish design company that does gorgeous everythings? I've loved them forever. 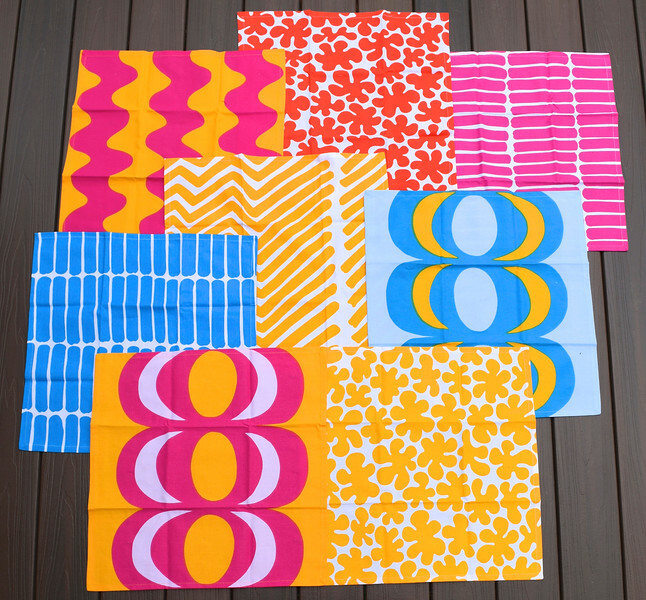 Alongside Orla Kiely, Marimekko prints make me want to sew like no other prints make me want to sew. Anyway, Target has Marimekko now. That's right - Target. Unfortunately, I'm not the only person in the cosmos who thinks Marimekko is cool. So when their limited line appeared in stores on Sunday (i.e. 4 days ago), I made a note to go shopping ASAP. But, you know, weekends: cooking, hanging with the family, reading, grocery runs . . . I'll bet you know where this is going. By Monday - when I finally got my act together - everything worth sewing was sold out, online as well as in the nearby stores. Not surprised, but it didn't stop me from kicking myself. So I dedicated this week to hunting. I put my current audiobook (excellent - I totally recommend the whole trilogy, especially the first book) into the CD player in the car, and drove all over the city to track down the bits I wanted. All in canvas and home-dec weight fabric. 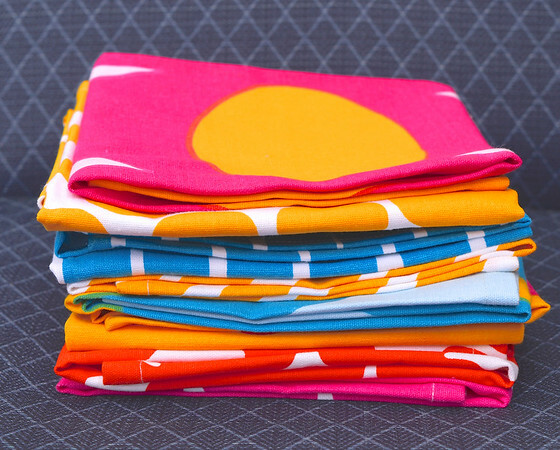 Perfect for bags and pouches and other beautiful things. Then stopped by SR Harris and stocked up on chunky 25" separating YKK zippers. On the home front, the children are also crafting. 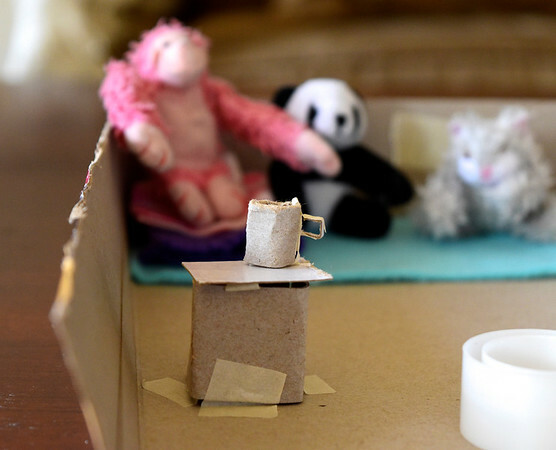 Here is a tiny cardboard mug (it's about 3/4" tall), sitting atop a side table in a cardboard house with throw rugs and cushions, made by Kate. Emily has taken over sewing instruction for the juniors. She came to report to me, "Kate wanted to learn to sew a pillow for Bunny today, so I had her do the whipstitch." He he. It's very cool when your children not only enjoy sewing, but also feel it is their calling to teach it to others, and create their own curriculum to do so. This is the kind of nugget you sometimes get in motherhood, which you secretly giggle about with the husband (and tell the whole internet). Before I became a mother, I used to think I'd be thrilled when the kids came home with good grades and trophies and other silly stuff like that. I know better now. I love those bright colors! The cardboard mug is darling.